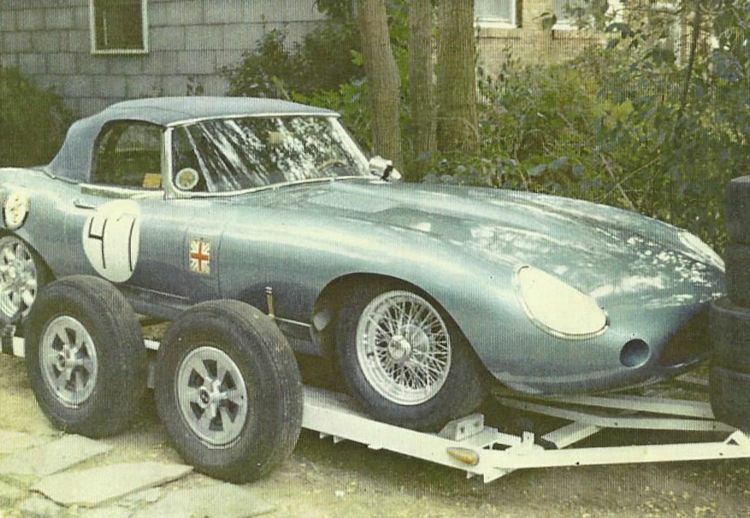 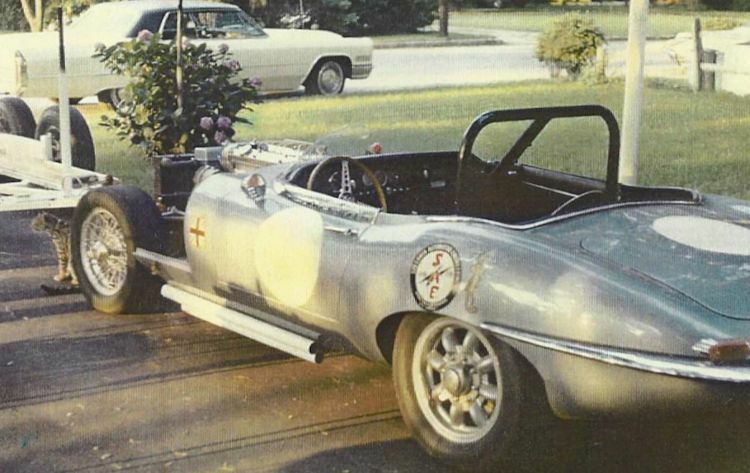 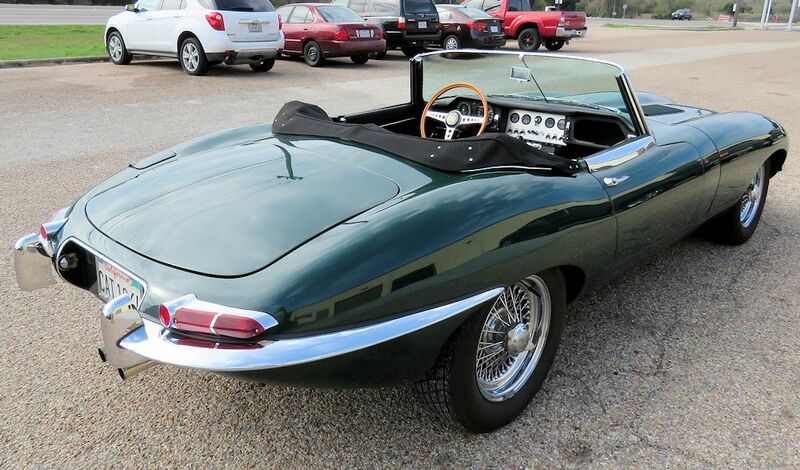 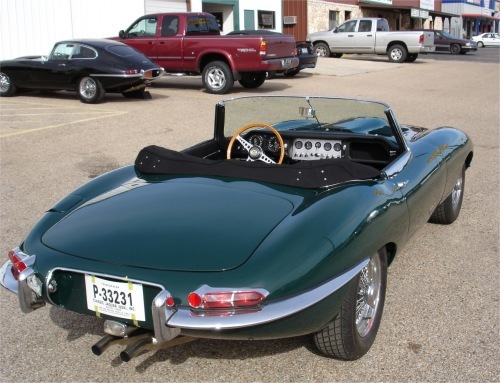 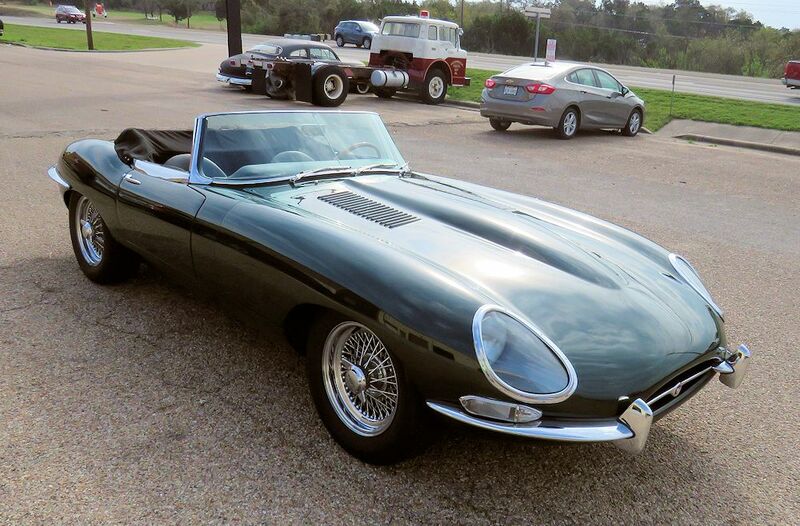 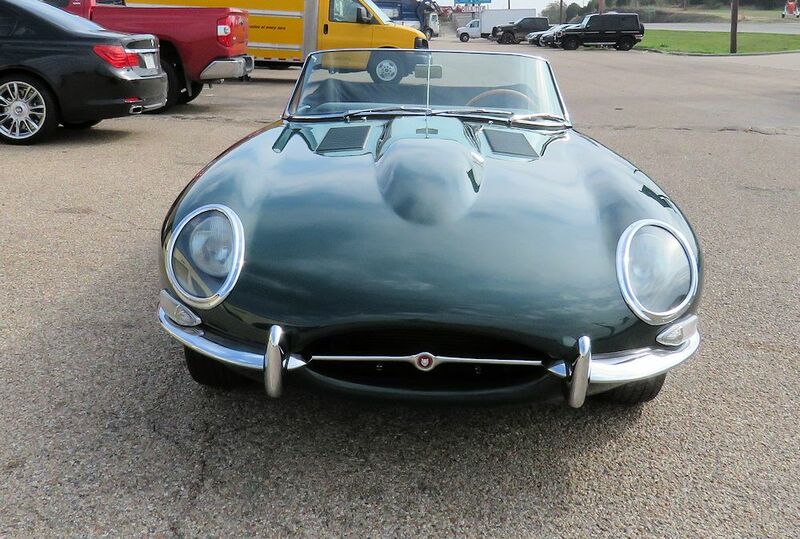 Here is another E Type with a fascinating story to tell! Throughout the 1960's and 70's, Charles Foote was a well known and successful gentleman racer in the Northeastern United States, winning numerous races (and championships) in various different classes of racing cars. 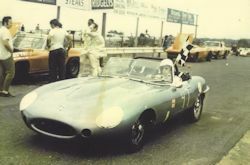 The 1964 E Type offered for sale here is a car that Charlie Foote modified and campaigned during this period, and the very car in which he won the 1971 EMRA Championship. 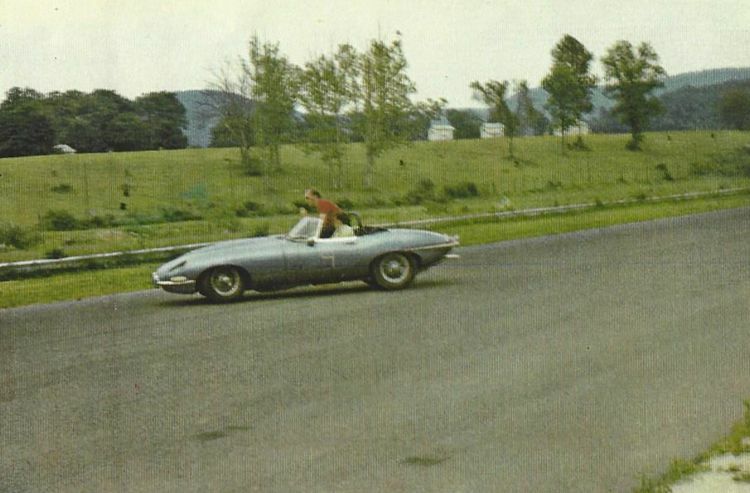 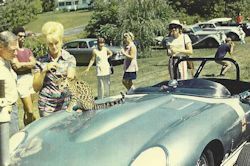 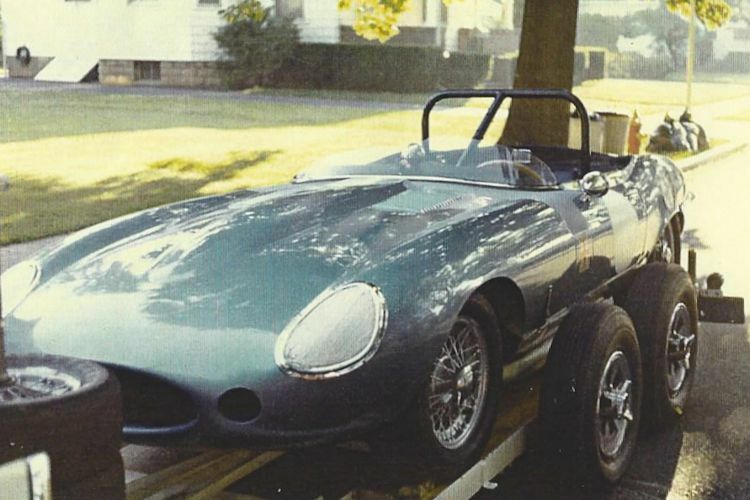 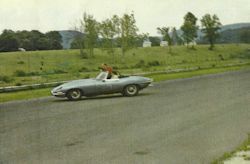 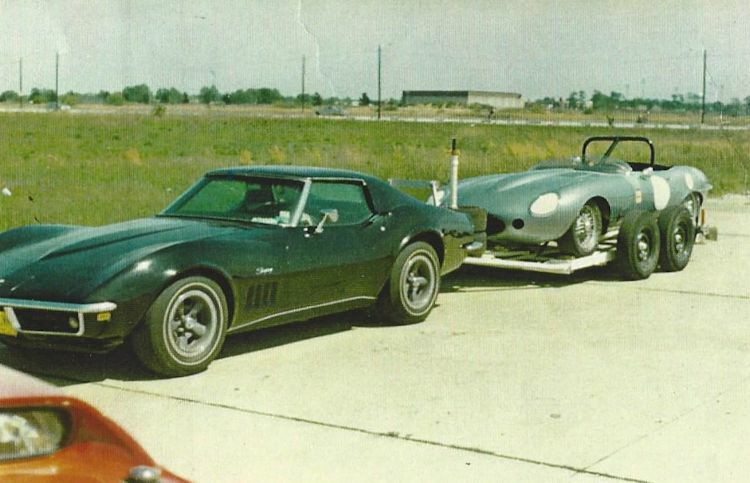 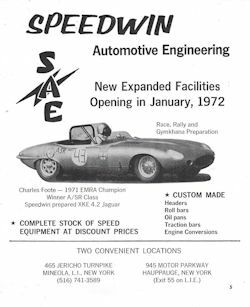 Charlie's Silver Blue E Type was a familiar sight at EMRA events at such venues as Pocono, Lime Rock Park, Summit Point, Thompson Raceway and Watkins Glen - and a frequent visitor to the winner's circle. This E Type would only have been four or five years old when Charlie Foote decided to convert it into a competition car. In the first couple of photos below you can see the car looking relatively stock, before gradually morphing into an out and out racer, sans windscreen, by the time it won the 1971 EMRA Championship. 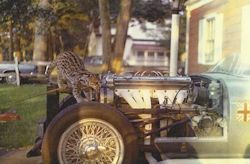 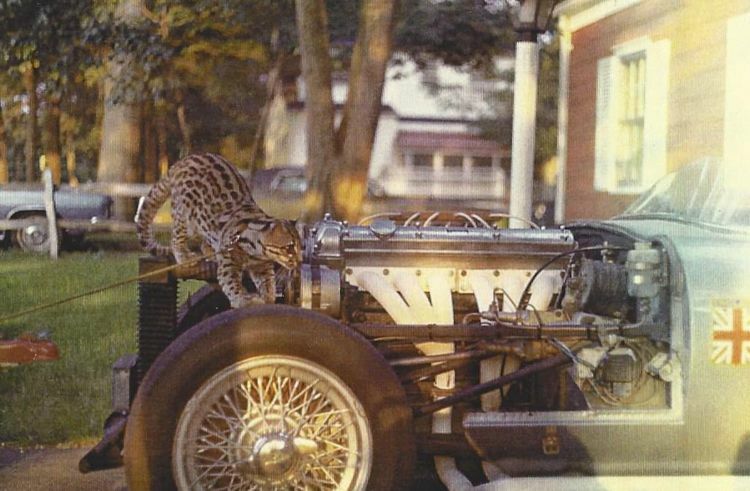 Fast forward thirty years when Charlie's old racer appeared on an Internet auction site and was snapped up by a Jaguar enthusiast in California for the princely sum of $20,000. By this time, the car was a complete basket case that had had apparently been languishing in a Georgia warehouse for decades. 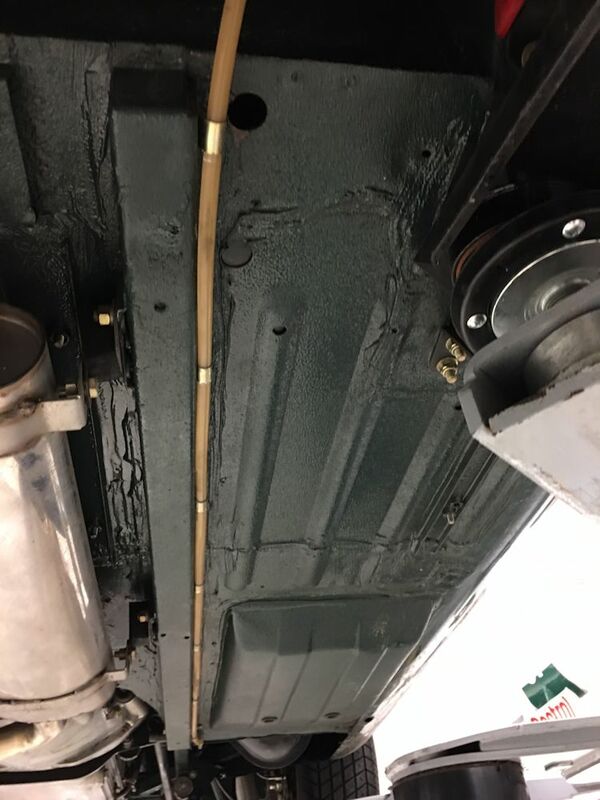 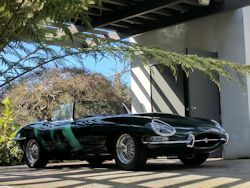 The new owner attempted to sub-contract the restoration work out to various Californian multi-marque classic car shops, but the process was frustratingly slow, and the results frankly not to the desired standard. 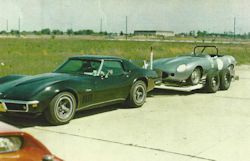 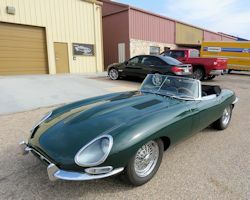 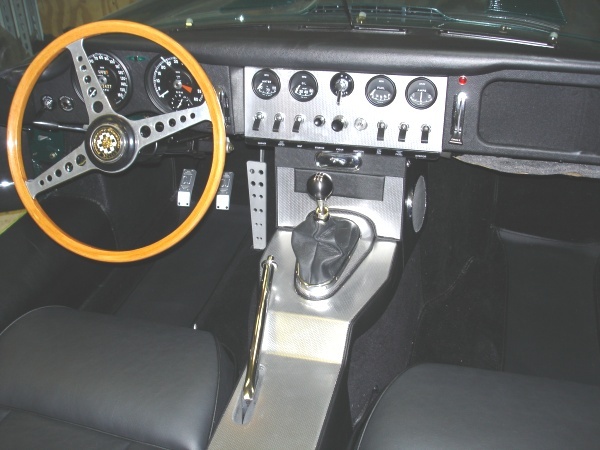 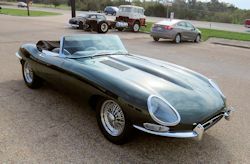 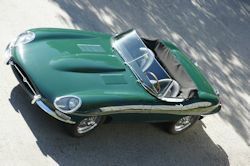 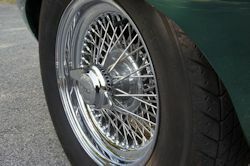 It was therefore decided to send the car to an E Type specialist, leading to its arrival at Classic Jaguar in Austin in May 2004. 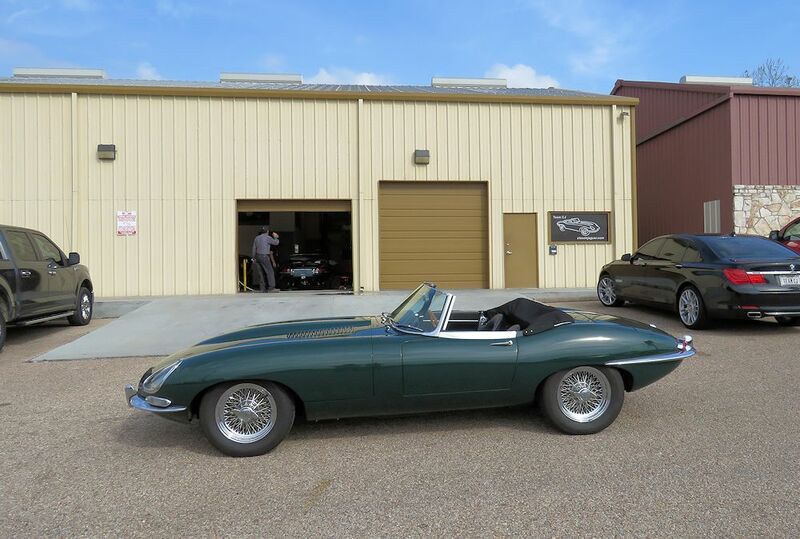 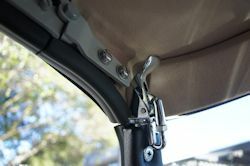 Over the next 8 months, we reassembled the car and installed a ton of performance and reliability upgrades. 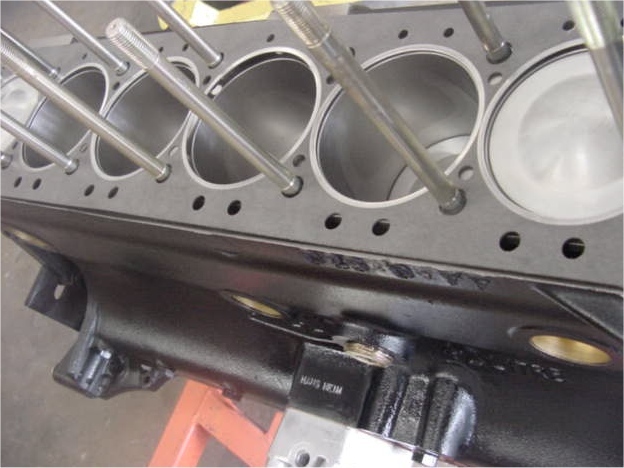 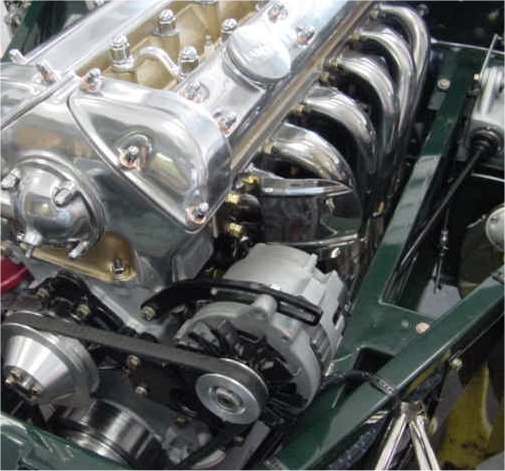 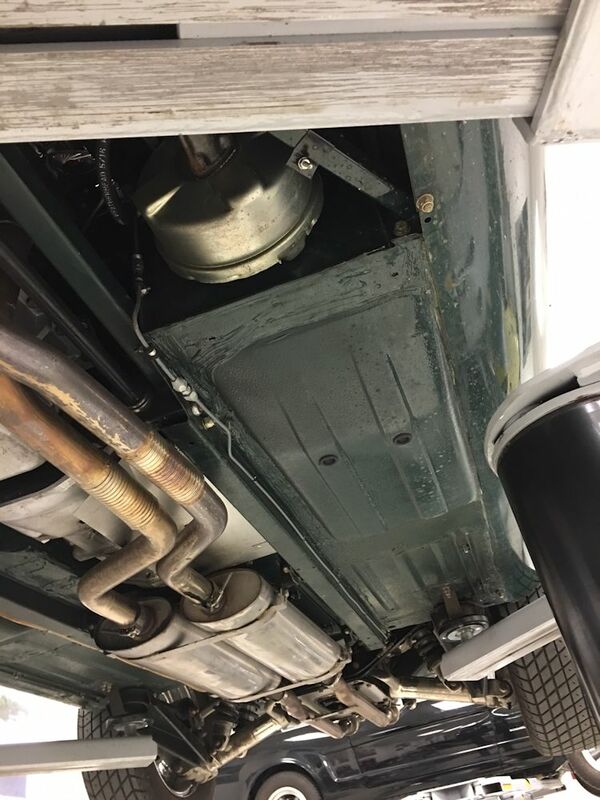 We rebuilt the non-matching number 4.2 engine to Stage One specifications, installed a JT5 five speed transmission, tuned stainless steel headers, Weber carbs, rewired the car and upgraded the cooling, brakes and suspension. 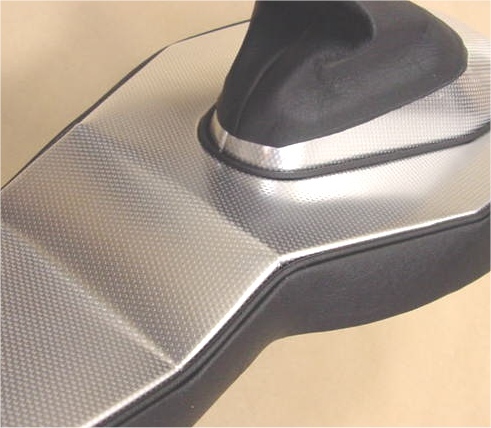 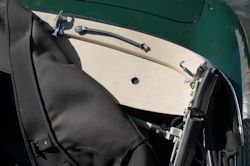 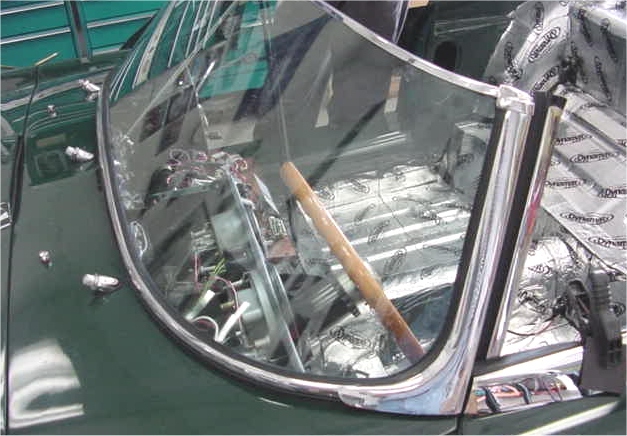 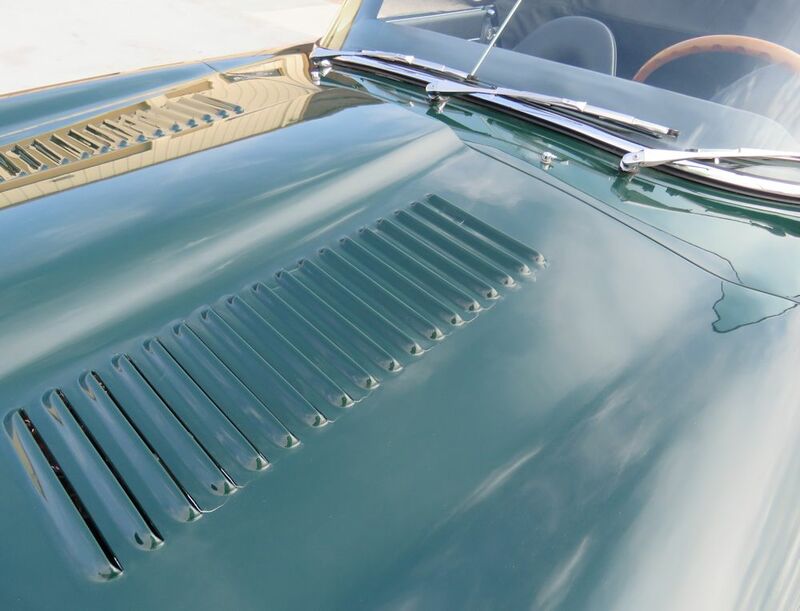 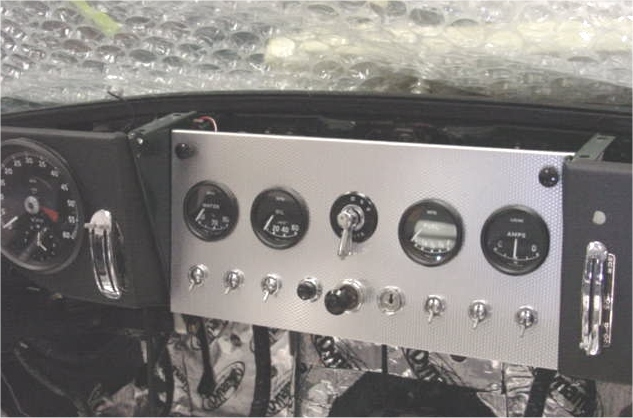 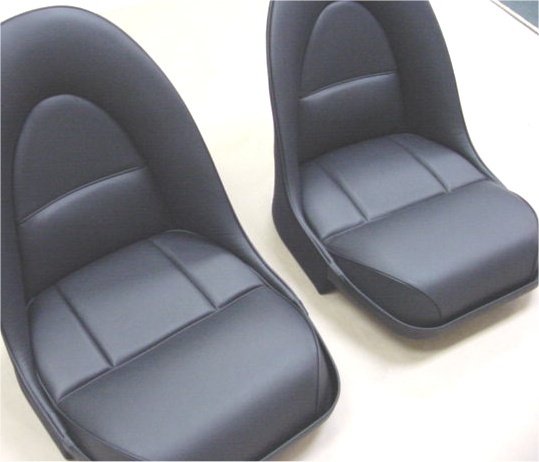 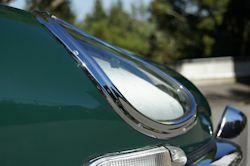 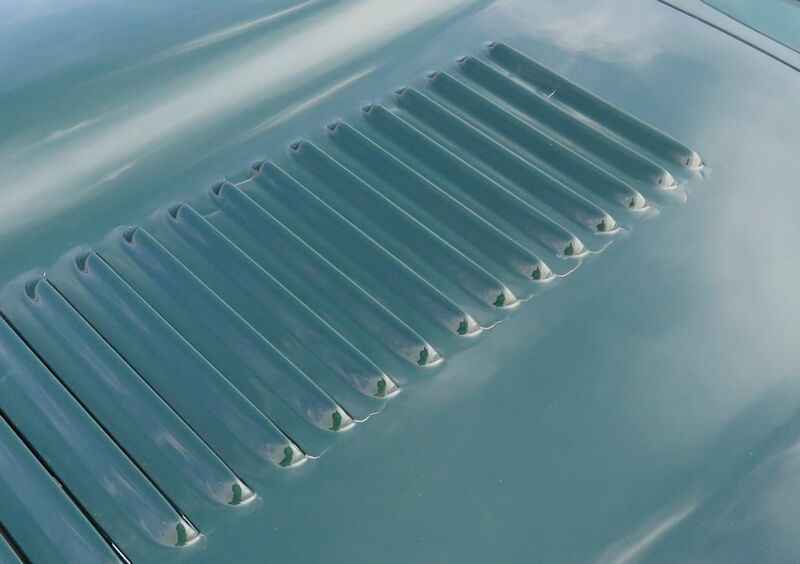 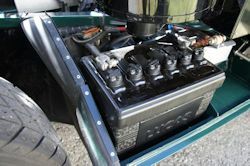 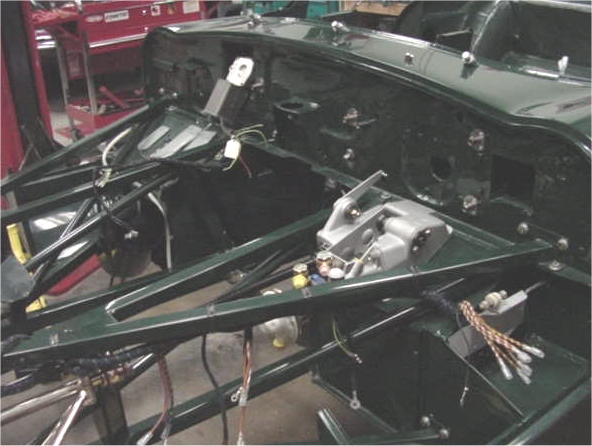 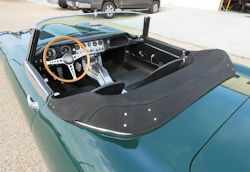 Although we did not perform a bare metal repaint, we did improve the fit of the Predator fiberglass bonnet which had been installed at one of the previous shops, trial fitted and re-plated much of the chrome and bright work, and installed a complete new interior and new convertible top. 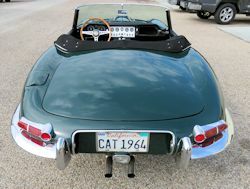 By the time the car was returned to California in April 2005, this was a very handsome E Type indeed. 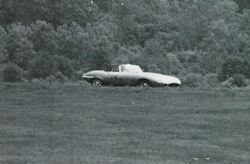 As tough as the first decade of this E Type's life must have been, routinely brutalized by Charlie Foote, the last twelve have thankfully seen rather more gentle use! 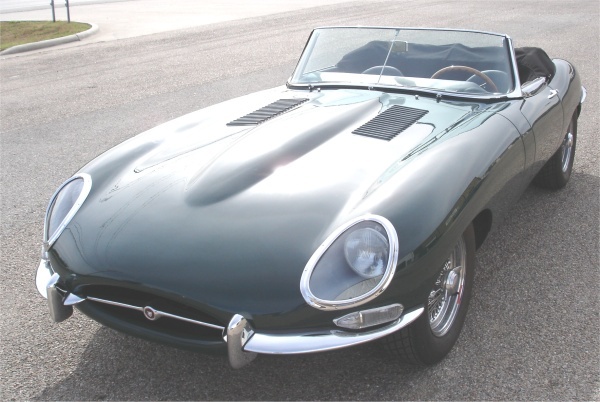 Mechanically, this is a thoroughly sorted, well serviced E Type that is a joy to drive. 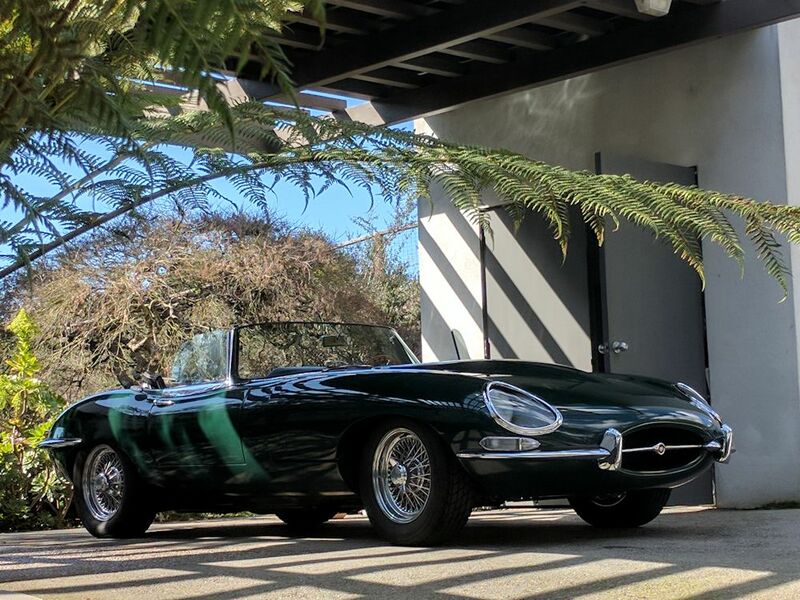 It is fast, reliable, and ready for a new owner to care for it through the next chapter of its storied life! 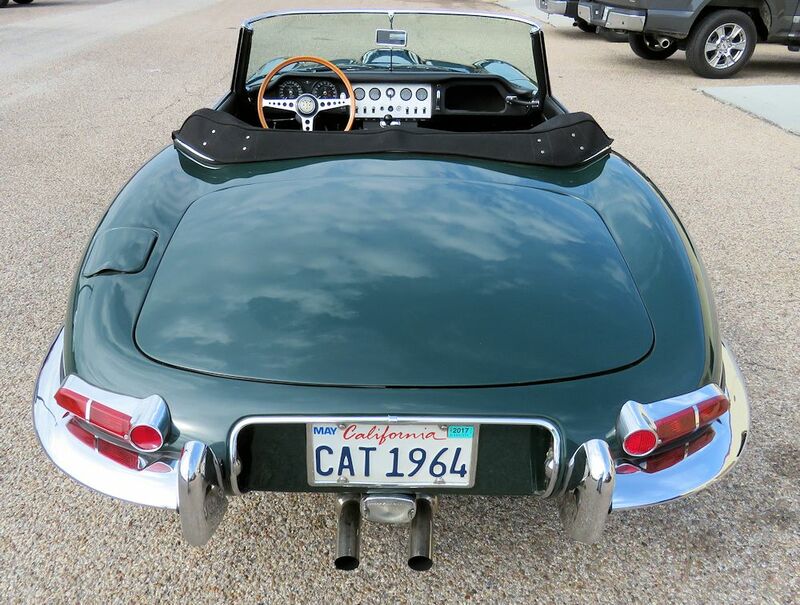 Please note, this car long since lost its matching number engine and transmission. 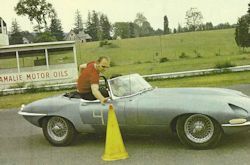 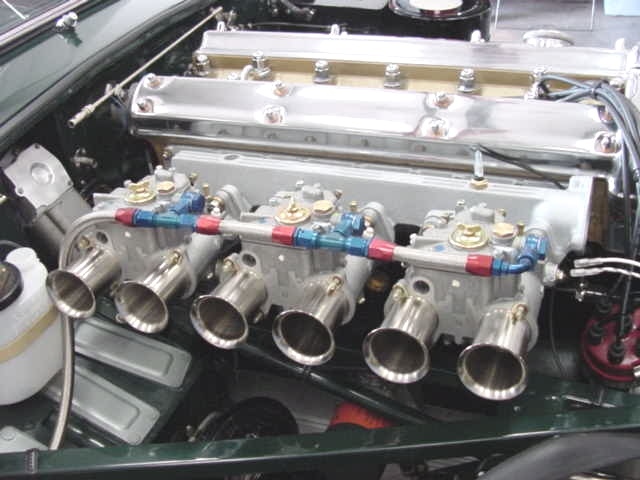 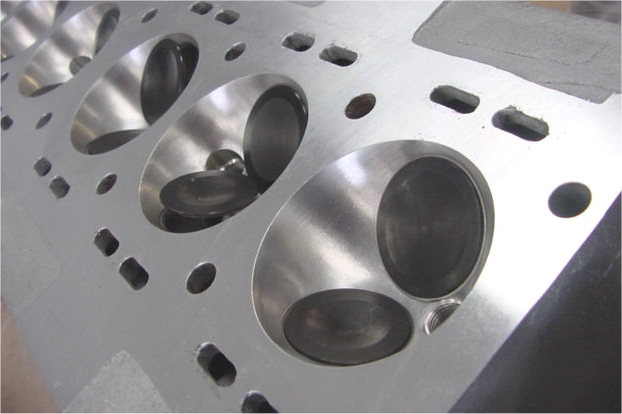 Charlie Foote raced the car with a 4.2 engine back in the day, and the current engine is also from a 4.2 E Type. The bonnet is a fiberglass replacement made by Predator in Florida, the remainder of the body panels are steel, and completely rust free. 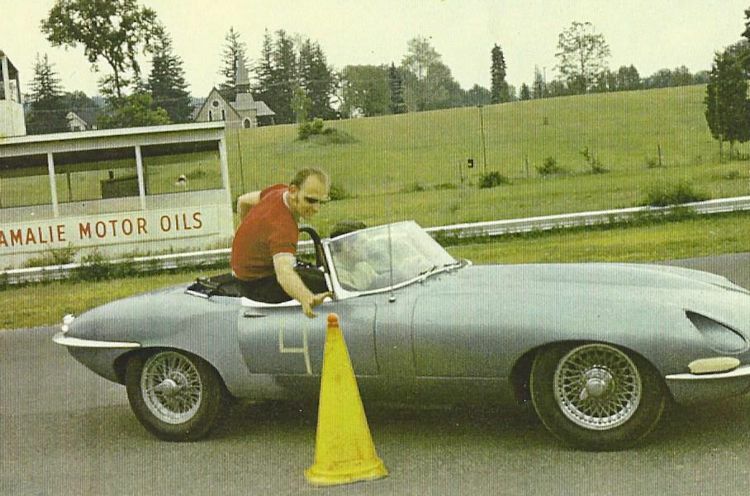 The paint is of a presentable driver quality. It has held up well on the main body, although there is a good deal of shrinkage and some lifting around the left hand louvers of the fiberglass bonnet, above the exhaust headers. 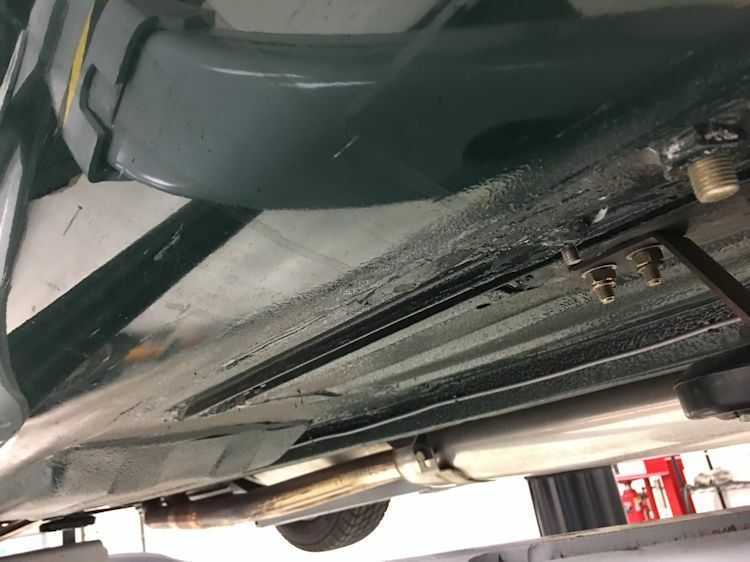 The paint on the bonnet could be repaired relatively economically, although the car is being sold 'as is', with the asking price reflecting the bonnet paint issues. 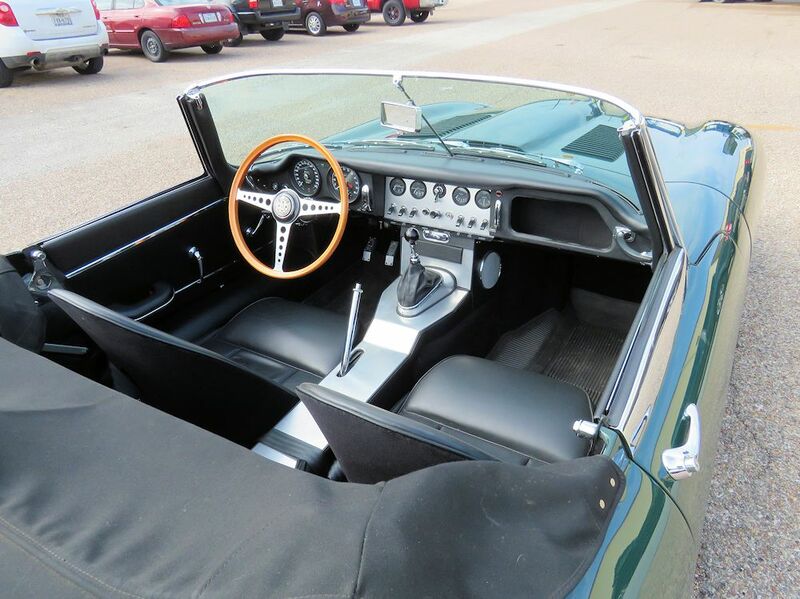 Inspections and test drives are welcome and actively encouraged. Call (512) 288 8800 or email with any questions or to make an appointment to view. 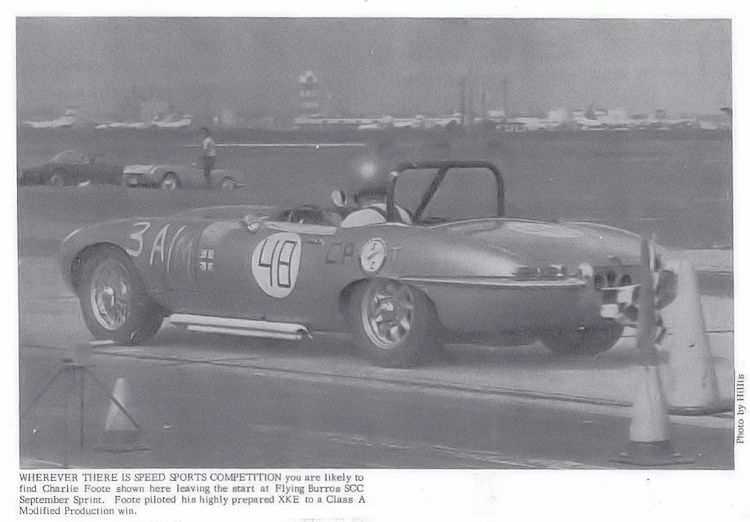 Side exiting exhausts must have sounded fabulous!